Two armed men failed to carjack a casino shuttle bus in the Lakeview neighborhood on Sunday afternoon, but one passenger on the bus was robbed of her purse, according to a police spokesperson. No one was seriously injured. About sixteen people were on the bus at the time, mostly senior citizens, police said. 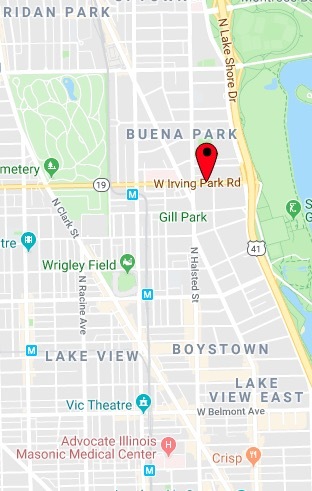 According to police, the shuttle driver pulled over to pick up two men in the 600 block of West Irving Park around 1:15 p.m. The driver, 42, told police that he believed the men had boarded his shuttle in the same location at least once previously. The men boarded the shuttle and the first offender pulled out a handgun, which he stuck to the driver’s chest while demanding the vehicle’s keys. Meanwhile, the second offender went into the passenger coach and robbed a 44-year-old woman of her purse. The first offender took the vehicle’s keys from the ignition and both men ran from the bus and headed southbound on Pine Grove, police said. Officers reported that the robbers left the shuttle van in the middle of Irving Park Road, where it was later struck by a passing vehicle. No one was injured in the crash. Police described the robbers as two black men who stand about 5’8” to 6-feet tall and weigh 150 to 160 pounds. One offender had dreadlocks, a light complexion, and wore a tan jacket. The gunman wore a dark jacket and had thinner hair. 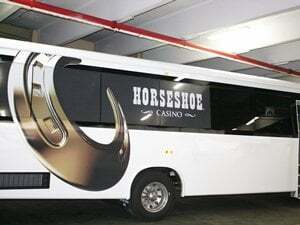 A police officer stated that the shuttle was operating for the Horseshoe Casino Hammond. Neither the Horseshoe nor its parent company, Caesars Entertainment, responded to emails on Sunday afternoon.